Wash and cut the vegetables into large pieces. 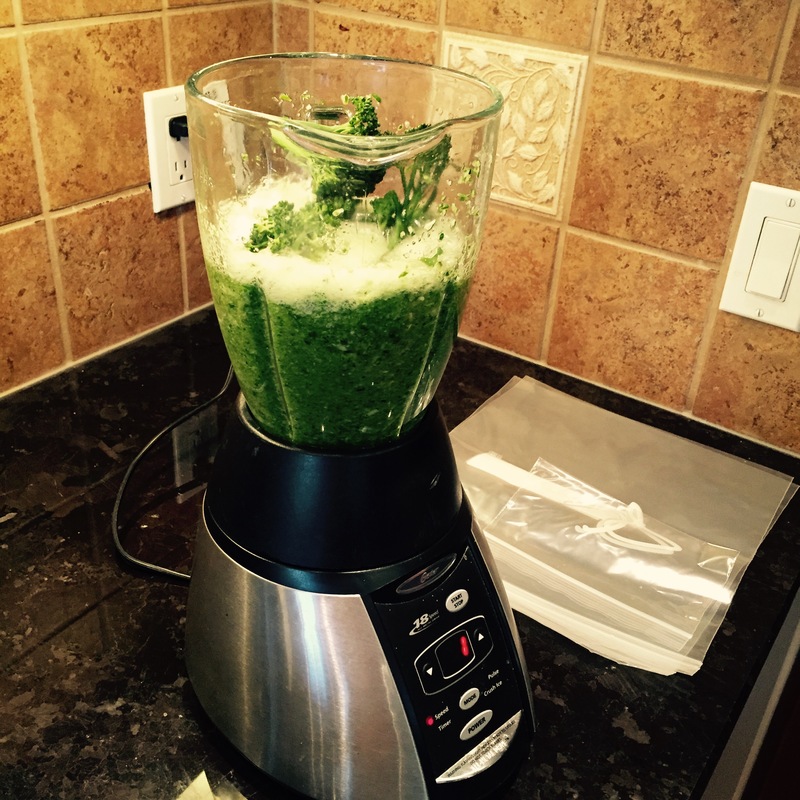 Purée or blend the vegetables. 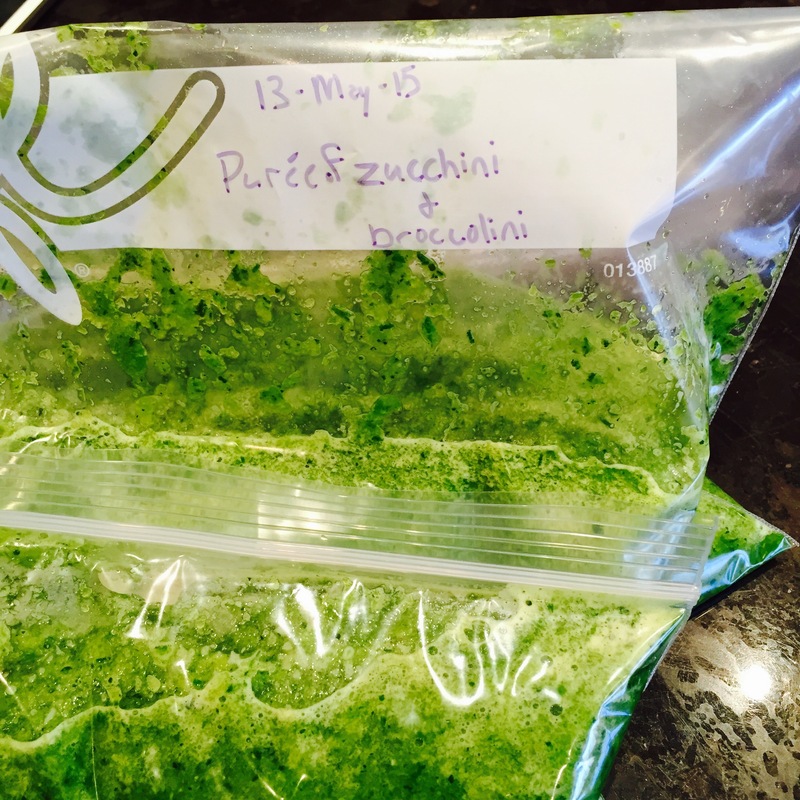 Pack vegetables into freezer bags of at least 1 cup vegetables. In the future use your frozen vegetables to add into pasta sauce to increase vegetables in a meal or make homemade soup, chili or curry! 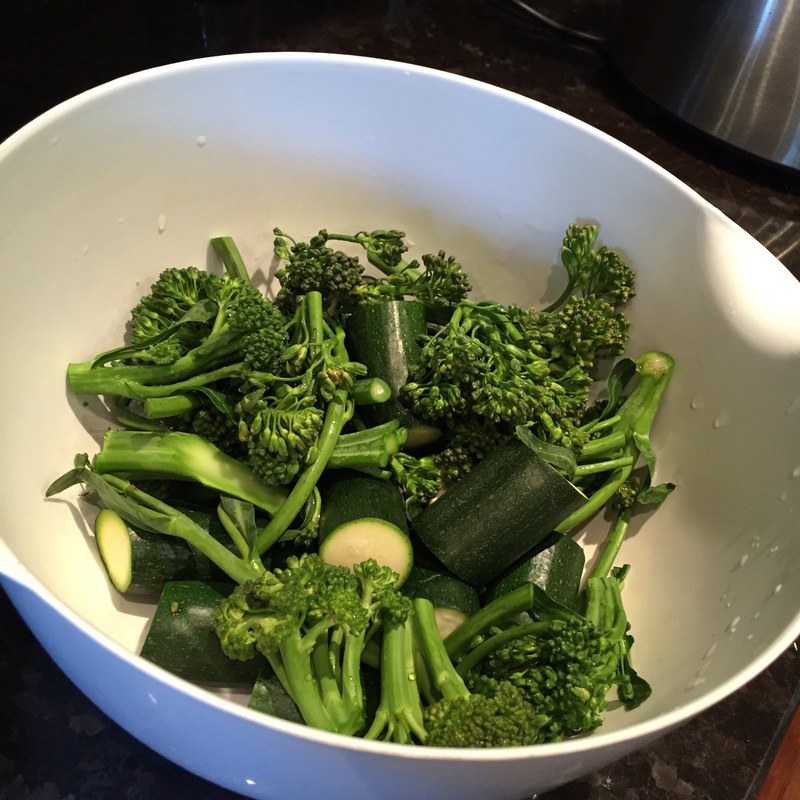 Don’t skip the blanching step! Don’t keep the frozen vegetables for longer than 12 months for best quality. See here for more information. Squeeze the air out of your zipper bags before closing and freezing. Label and date your vegetables.